To read the first installment of this three-part series, click here. When praying about which of the many aspects of Theology of the Body to cover in this blog series, I really felt the Holy Spirit tugging at my heart to focus most importantly on one word:Hope. Honestly, I don’t even know if this word is mentioned once in the audiences of Theology of the Body, but that is the topic the Spirit wants me to develop. Specifically, hope in our identity as daughters loved infinitely by God, seen particularly through the witness of Mary. The main reason I found these audiences of St. John Paul II so life-changing was that it helped me focus on a very important reality that was missing in my life- my identity as a daughter of God. When experiencing depression, extreme self-centeredness, and low self-esteem, I seemed to lose a sense of knowing my worth and even start to fear my own self. In this beautiful catechesis that God placed in my life, I found support in my inner struggle. It helped me answer the following questions I was asking in my heart, “Who am I? What is my purpose?” In the asking of these questions, I found that I needed to become rooted in my identity first, and then to go forth from that into my mission. We are all called to communion and love. Out of all the desires of our hearts, the one that is at the center is the desire to love and be loved- to enter into communion and union with another. This desire in each and every human person is a very good desire, and not only that, it points to the deepest desire that God has put in man- the desire for communion with Himself. How do we live out this desire for union? 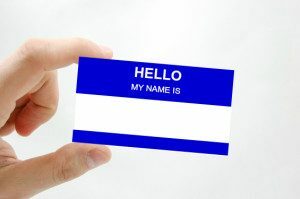 We must know of our identity and receive. Women have the special gift of receptivity and receiving the love of another. We can see this especially in the example of Mary. She was the most beautiful example of authentic womanhood, and following her example, we can be the women God has created us to be. 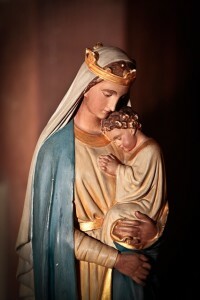 Mary became a living vessel of God’s presence and love through her receptivity, seen particularly in the Incarnation. She had the particular gift in her femininity to receive and bear forth life through such open receptivity. Mary knew her identity came from God, and so had the confidence in His love and providence for her. In knowing of God’s love for her, she was able to give her “fiat” in trust, love, and freedom. Likewise, by rooting ourselves in our immense dignity as daughters of the Father, purchased by the precious blood of Christ, we can open ourselves to receive all the love that God has for us. Even amid your own struggle of coming home from the convent, know that it is part of the beautiful plan of God, even if you do not understand right now. Trust in Him and be open to receive His love for you! If you have, in any way, ever felt rejected, dumped or abandoned by Christ, especially by being asked to walk away from religious life, either by your Superior or by God in your personal discernment, I am writing this blog for you. He was the One whom you trusted to love you unconditionally, with whom you could be completely vulnerable without ever being told that you are not good enough, was He not? And yet, here you are, confused, alone and broken. I too, have encountered and wrestled with this emotion and brokenness since I left the convent over two years ago. However, after I humbly offered up my woundedness many times, confessing that I felt rejected and even accusing the Lord of abandoning me, He finally got through to me. As I listened, He spoke clearly to my heart a message that has given me great peace and consolation. I now feel convicted to console you and tell you that I am confident of this, that the one who began a good work in you will continue to complete it until the day of Christ Jesus (Phil 1:6). 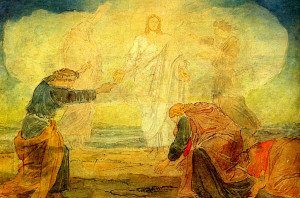 I have always felt that my experience of living and leaving religious life was much like Peter experiencing the Transfiguration and saying to Jesus, “Lord, it is good that we are here. If you wish, I will make three tents.” I will stay here, make this my home and my life, here where the presence of your Divinity is so evident and intimate. 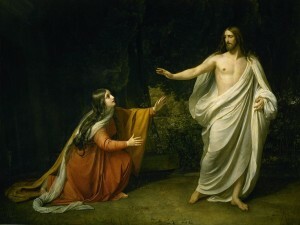 Likewise the Father responded, “This is my beloved Son, with whom I am well pleased; listen to Him.” But Jesus came and touched (me), saying, “Rise, and do not be afraid,” (Matt. 17). Then I was lead down from the mountain and back into the world filled with people who have never experienced this Epiphany, and can not understand the ache of losing that vision, that glimpse into the Divine. However, Christ’s mission could not have finished had they had not left. Furthermore, Jesus did not stay on the mountain while banishing Peter, James and John, but went into the world with them to complete the good work that He began. As it turned out the Bible verses that spoke to my heart and convicted me to enter religious life had a tendency to add insult to injury after I had left. I feel that it is easy to fall into the temptation of believing that we no longer have a calling. If God really called me to enter the convent, He has since un-called me, changed His mind and “hung up,” so to speak. There is no longer a plan for me. My plot in life is now to float out here in this abyss of unconsecrated singleness. But wait, God says, “For I, the LORD, do not change, and you, sons of Jacob, do not cease to be” (Mal 3:6); “But the plan of the LORD stands forever, the designs of his heart through all generations” (Ps 33:11). This must mean that God never changed His mind or His plan. From all eternity He knew every step we would take. Everything is Divine Providence and we have to trust that it is for our greater good because God is all Good and Holy. Sometimes He just waits until we settle and believe that we’ve found our place and purpose to take us by the hand and say, “Talitha koum; Little girl, I say to you, arise!” (Mark 5:41). I will allure (you) now; I will lead (you) into the wilderness (Hosea 2:16). Where is the wilderness more wild, more lonely, more bare than in the world where Christ and his followers often go either unnoticed or hated and rejected? However, Jesus encourages us, saying, “For I know well the plans I have in mind for you; plans for your welfare and not for woe, so as to give you a future of hope. When you call me, and come and pray to me, I will listen to you.When you look for me, you will find me. Yes, when you seek me with all your heart I will let you find me (Jer 29). Do not fear, for I have redeemed you; I have called you by name: you are mine, because you are precious in my eyes and honored, and I love you. Fear not, for I am with you. All who are called by my name I created for my glory; I formed them, made them: You are my servant whom I have chosen to know and believe in me and understand that I am he. See, I am doing something new! Now it springs forth, do you not perceive it?” (Is 43). See, I am doing something new! He is not un-calling us but calling us to something new, something greater. Religious life may be a higher calling but it is a calling that we cannot call ourselves to. We will only be fulfilled when we submit to our calling. What does it matter if your soul is like a thimble or a cup, so long as it is full? No matter what state in life, career, suffering or joy you are experiencing trust that His love, will, and heart remain the same. 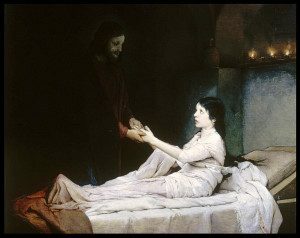 Every single day He is present and waiting in the Eucharist, calling, “Arise, my beloved, my beautiful one, and come.How beautiful is your love. For you have ravished my heart, my sister, my bride; you have ravished my heart with one glance of your eyes and I thirst, for you,” (ref. Songs &. John 19:28). My sisters, we experienced the Epiphany for a reason and it was meant to transfigure us. We are called to go into the world and reflect the radiance, the joy and the light of a God who’s love is Divine, unconditional and never changing.